Writing takes imagination. It goes without saying that writers are magical thinkers. This means that we tend to be superstitious. We may love haunted houses and wild speculations, antiques and termite-hollowed logs. Many of us like astrology almost as much as we love gossip and the luxurious smell of new paperbacks. Unfortunately, most astrological sources do not gear their standard sign descriptions to the particularities of the novelist or poet. Everybody knows about the stubbornness of the Taurus. But how does that play out in terms of the writer’s life? What happens to the sexual energies of the Scorpio when translated into poetry? These are questions writers want answered, but there aren’t many places to go for the astrological skinny on the writing zodiac. Until now. 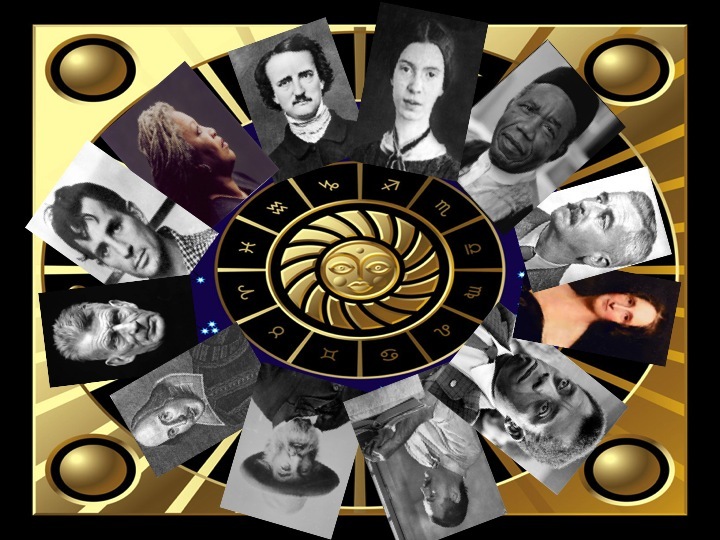 Herewith, a writer’s astrology to satisfy all of your star-crossed curiosities.